Very exited to announce that DS Supplies has teamed up with Brutus to bring you some AMAZING new products! From cement mixers, hole cutters to flat-pack flooring underlay! 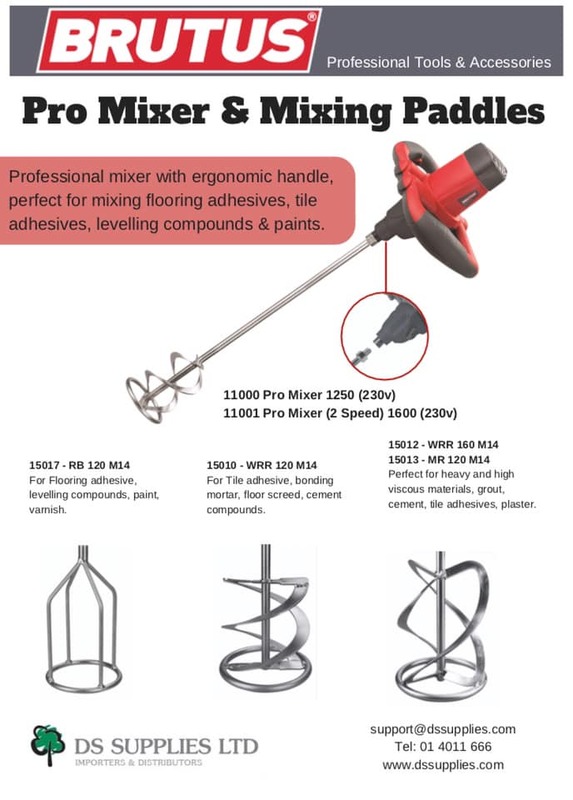 The Brutus Pro Mixer can be used for mixing cement, adhesive, paint, plaster and varnish. There are different paddles available to suit you mixing needs! We also stock the Brutus XPS Underlay. Available in 3mm and 5mm, this lightweight, easy to use underlay smooths and supports your wooden or laminate flooring. Its also great for keeping the cold out and the warmth in with its high tog rating. Call us in the office for more information 014011666.